IWA is an IT-consultancy that designs, develops and operates mobile apps and web services for its customers, many of which come from the PropTech sector. 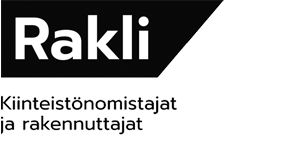 The company’s clients include Talokeskus, Rakennustieto, Tiloja.fi and Virta, which develops electric car charging platform services in Finland and abroad. IWA’s goal with every client relationship is a continuous and virtuous cycle of innovation – a true culture of experimentation. In October 2017 this experimental cooperation resulted in Virta Home app, developed by IWA, winning the best mobile app award at eMove360 event in Germany. In the presentation linked below, Virta’s CTO explains how any company can take its service development to the next level. We are excited to be part of ReCoTech to meet new companies and people who have an open mind for innovation. Come and meet us during the speed meeting session (what we are looking for).